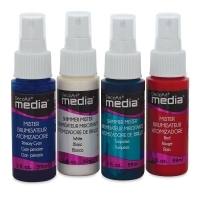 Create unique mixed media projects, background washes, cards, art journal pages, and more with DecoArt Media Acrylic Misters. 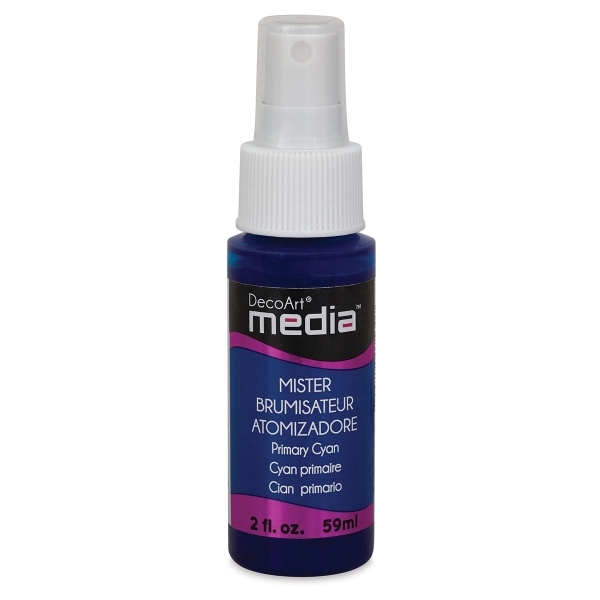 The waterbased acrylic mist works great on porous surfaces, including cardstock, paper, and canvas. Use it with stencils or without. 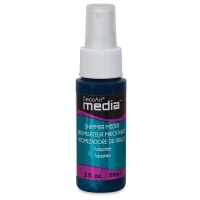 Colors are intermixable, transparent, and acid-free. You can control spray patterns by adjusting how hard you press the nozzle. Layer colors for unique multi-dimensional effects. Once dry, the paint is permanent. 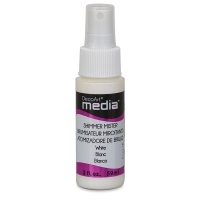 The Shimmer Misters contain ultra-fine pearl pigments that add a subtle shimmer to projects. To prevent misters from blocking, spray warm water through the nozzle until it runs clear after every use and wipe the nozzle clean. 2 oz (59 ml) spray bottles. Made in the USA.